Epcot Innoventions at the Epcot theme park is the attraction that perhaps best embodies Walt Disney’s original vision for Epcot. 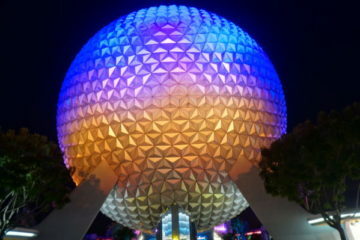 Himself an innovator in the fields of animation and motion picture entertainment, Disney wanted Epcot to be a location dedicated to fostering and celebrating technological innovation and other human achievements. Today, Innoventions features both cutting-edge technology as well as some of the everyday technology that human society has come to rely upon. Innoventions is a redesign of CommuniCore, one of the original exhibits that was in place when Epcot opened in 1982. Like present-day Innoventions, CommuniCore was a celebration of technological advances and the thematic centerpiece of Epcot’s Future World showcase. CommuniCore focused on educating visitors about personal computers and other computing technology, which was all relatively new at the time. By the 1990s, the computer technology featured in CommuniCore was already out of date, so a brand new pavilion with the new name Innoventions was designed to replace it. 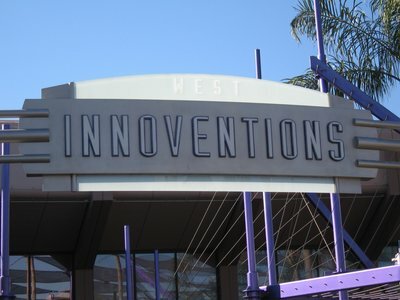 Innoventions – a portmanteau of the words innovation and invention – opened to the public in 1994, though it underwent major renovations in 1999 and again in 2007 to update the exhibits . 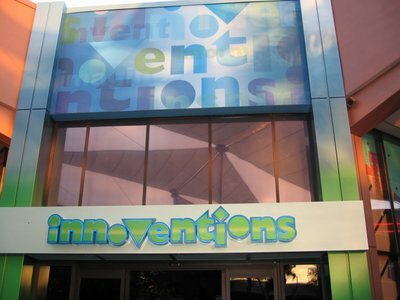 The nature of Innoventions demands a certain amount of change as the years go by to ensure that the pavilion stays true to the “innovation” part of its name. 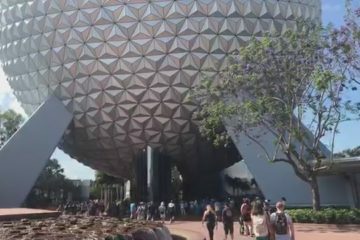 Innoventions is located in two buildings on opposite side of the courtyard next to Spaceship Earth. 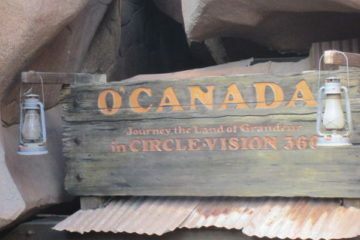 Here are some of the exhibits that are or have been located in the attraction. The Sum of All Thrills is a touch screen application that allows guests to design their own roller coaster ride. After watching an informative video about the math and science involved in roller coaster design and construction, thrill seekers can build a virtual ride with all the turns, drops, and inversions that they desire. When the design is complete, two visitors at a time may climb about the ride simulator pod to experience a realistic simulation of the roller coaster they created. 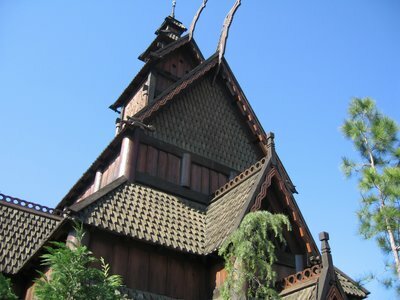 Guests must be at least four feet tall to ride the simulator, and must be at least 4 ½ feet if the ride includes an inversion. Science and education meet fun and the future at Innoventions. The Environmentality Corner is an educational and interactive area dedicated to teaching visitors ways to help preserve our natural environment. Children (or adults if they are interested) can learn how to make paper, and even create and decorate a sample of their own. This lab is all about the reliability of safety equipment as well as the safety of the products that many consumers use everyday. Underwriter Labs Inc presents this exhibit, which allows visitors to get some hands on experience with product safety engineering. Send a hammer crashing into a television screen, drop a 55-gallon water drum onto the top of a firefighter’s helmet, jump up and down to trigger fire doors to slam shut, drop a safe from three stories up – cartoon style – to see if it survives the impact, and put a variety of everyday appliances to the test in the “Torture Lab”. There is also a short video for kids starring Timon and Pumbaa about household safety. With hurricanes regularly threatening the Atlantic coast of the United States during certain times of year, this exhibit focusing on storm preparation seems particularly relevant in Florida-based Disney World. In the different areas of StormStruck, children can make a game out of gathering all the items you want to have handy in the event of a natural disaster, adults can take a disaster-preparedness quiz, and visitors of all ages can experience a simulated hurricane inside a theater. For visitors who have never experienced an intense storm, the wind and water sounds effects will give some idea of the power of a hurricane. Where’s the Fire is an exhibit about fires safety designed mostly for younger visitors. Kids can put their knowledge to the test identifying fire hazards, become a Fire Chief by answering a quiz at the Burning Questions Kiosk, and pose for a picture with a 30-foot fire truck. You can explore many different exhibits under one roof at Innoventions. Energy conservation is the name of the game at the Smarter Planet exhibit. The area is sponsored by IBM, and features two interactive educational components. First, guests can use a video screen to learn about ways that computers are incorporating new technology to reduce energy consumption, and to test their knowledge about energy usage. The exhibit also allows visitors to create a video game avatar of themselves and use their own movements to navigate through an education video game. For a game that’s all about the relatively dry topic of smart financial planning, the Great Piggy Bank Adventure is surprisingly fun. Individuals or teams of up to three people get a piggy bank and set a savings goal for something like a family vacation. You then take your piggy bank from station to station to try to earn more money while avoiding the sabotaging wolf. It is a true learning experience, with information on such topics as asset diversification and inflation, with enough twists and interactive elements to make it entertaining for everyone. At the end of the game each piggy bank is weighed to find out if the team met their savings goal. The Videogame Playground is essentially an arcade featuring the latest video game attractions for visitors to test out. Younger children may particularly enjoy a variety of video games starring famous Disney characters. Innoventions has a wide variety of exhibits with features and games aimed at both older and younger visitors. 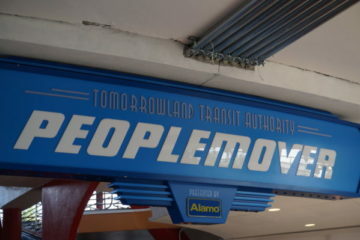 Almost all of the exhibits at Innoventions have an educational component, which may not appeal to every Disney guest. However, many guests appreciate the interactive elements at Innoventions in contrast with many Disney attractions that simply involve sitting, watching, and listening. 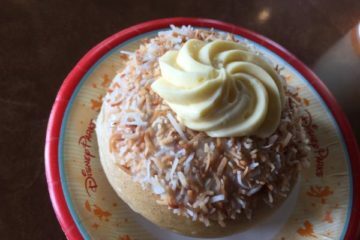 The indoor, air-conditioned environment may also provide welcome relief to families looking to escape the Florida heat and humidity.